Durkheim idea of crime is a very interesting subject. As he mentioned, crime cannot be completely gone because it is needed to reaffirm the rules or the social order of society for what is right and what is wrong. I have not realize that life is like a game, where you can make the rules and the consequence. It is interesting to understand that even if there is little crime, there is some type of balance order because there cannot be a place where someone needs to rob food for their family. Durkheim mentioned that we inherit the acts we perform in society, such as education. In my opinion, having objectives in to conform every day without any way of your control has made by the life that have been given buy you. In addition, our actions or decision sometimes is based on the outside influences, such as our neighbors or our group of people we hang out with. Also our inner thoughts will become a strange or foreign that because of the influence of other people that allow us to conform to what it is. Another social issue that Durkheim looked into is suicide. He mentioned that suicide does not happen in areas that have a lot of alcoholism but in areas that lack social and moral regulation (interaction). Social interaction is important in communities because people feel that they are part of something important and they are involved in something that can give them pleasure and another kind of satisfaction. An example of social need of someone is a job team work building workshop where people need to need to have a trust of its neighboring worker to get the job done. The two things that Durkheim notices that was missing in people who commit suicide, as I mentioned before is social integration and moral regulation. He states that is egoism and anomie. People who live in cities usually do not have anyone with them close and they live alone, which they are likely to commit suicide (egoism). People who do not have any morals to guide them, lost souls I can say who do not have the goal to move forward or do not know what direction to go, usually commit suicide (anomie). It is pretty interesting that suicide back in Durkheim period is similar to what todays similar ideas of someone killing themselves. In the New York Times there was an article that discussed that middle-aged Americans committed suicide often in the past decade. “In 2010 there were 33,687 deaths from motor vehicle crashes and 38,3654 suicides”(Parker-Pope NYTIMES, 2013), the difference of these 2 deaths is about 5,000. It is hard to believe that Americans in the ages of 35-64, men and women, are willing to kill themselves. Sadly, suicide is a stigma a lot of people do not want to talk about. However having a discussion and understand the issues each individual had to go through would shed some light for the reasons they wanted to end their lives and make us, the future people for making decisions in society, not make the same mistakes or help people out. Also, as a personal note, thinking about suicide is something I think many people thought of, including myself. However, it is easy for one person to give from all the stress and the unknown road that is taken without the support of other people is pretty hard for one person to hold on their shoulder. Edles, Laura and Appelrouth, Scott. 2010. SocioloticalTheory in the Classical Era: text and readings 2nd edition. Pine Forge Press Sage Publications. Durkheim writes in his piece on suicide, that one of the reasons that suicide occurs is due to social economic factors. He explains that during times of economic hardships suicide rates tend to rise due to an individuals struggle to belong in his/her society. This piece in particular was interesting to read because i find this explanation to be very accurate. I had previously never thought of suicide as being related to society but rather a personal concept in which a given individual would be struggling with certain issues such as self esteem, family problems, marriage, school life ect. Yet as i kept reading this piece i couldnt help but think about the many suicides occuring during our recent stock market crash of 2008. I remember constantly hearing stories of what i thought were wealthy individuals committing suicide and not understanding why in my mind they were wealthy so they had nothing to worry about it was the middle/lower class that should be worried. I later realized these wealthy individuals were the ones used to the extravagant life styles, owned several homes which meant several morgages as well as expensive cars and clothes and these individuals were now the ones without a job failing to make payments for all of their properties. They were being swallowed up by the economic crisis that the country was suffering and saw no way out. This is the perfect example to Durkheims idea on suicide based on social issues. I was not surprised at all that Young Latin women were the most likely to attempt suicide. Coming from a Latin family and living in America, I completely understand why my ethnic group is at such high risk. Latinas have two cultures to pick and choose from, but pressured to stay a ‘good’ traditional Latina. Identity is an ever changing part of a Latin girl/woman. Teen pregnancy is rampant in our community, which only adds to the issues affecting these young girls. Sustaining education, cultural clashes, social pressures, and becoming inexperienced mothers either provoke motivation or depression. Even when pregnancy is not an issue, young Latinas wanting to become the independent ‘American’ woman are always pressured to marry and become exemplary wives and mothers. As Talk of the Nation mentions, the high drop out rate and social isolation are also major factors adding to the statistics of ‘most likely to attempt suicide’. I was surprised the LGBT factor was not mentioned in the program, as this is another major difference in who the Latina woman is supposed to be. The conservative methods that Latin parents generally engage in for their daughters are unrealistic to who the Latinas actually are, and the world around them. I completely agree with the perception of not having any role models in the media while growing up, Hispanic television only focused on romantic dramas and family problems. Independence is hard to achieve when a Latina girl is restrained/looked down upon if there’s any deviance from the traditional Latin woman. The gender role expectations can become impossible to manage, causing young girls to look for a way out, even if fatal. Durkheim pointed out social factors causing suicide, and all of the factors affecting young Latinas fall into the social sphere. Young Latinas suicide attempts are indicators of egoistic suicide. It cannot be part of anomie because Latinas actually get too much moral regulation within their cultures. Emile Durkheim, a macro-sociologist whom believed that behavior must be understood within a larger social context, not just in individualistic terms. Take religion for example, he personally believed that society forms religion and the purpose of religion is to integrate individuals into strong bonding groups. So he focused on the functions of a religion performed and emphasized the role of group life, which in Durkheim’s theory of religion the existence of “god” is not essential. Since Durkheim’s main interests was to developed a fundamental thesis to explain all forms of modern society. He traced the unusually high suicide rates throughout the history, which he developed the concept of anomie to characterize the condition of a society or group with a high degree of confusion and contradiction in its basic social norms. Durkheim believed that when the state of anomie occurs, such as the Great Depression, the suicide rate rises rapidly. Individuals are easily confuse and unable to cope with the new social environment that they may resort to suicide. Durkheim was concerned about the dangers that alienation, loneliness, and isolation might pose for modern industrial societies. So he encouraged the creation of new social groups-such as unions- would provide a sense of belonging for members of huge, impersonal societies. Emile Durkheim (1858-1917) was a sociologist who was interested in collective solidarity. He believes that the problem in society is not that people are in different classes (Marx), but the problem is the fact that people must work in places that they do not wish to work in. Society does not have the right regulations in place in the division of labor. For Durkheim, the fundamental condition is modernity, not capitalism. One social pathology that Durkheim focused on was suicide. Durkheim noticed the connection between modernity and suicide. He wanted to bring moral issues into the study of suicide. The methodological objective was the application of sociological method to explain what appears on its face to be an “individual” phenomenon. Other factors make people vulnerable to suicide. One factor related to suicide that interested me was booms and busts in the economy. It was totally normal to me that suicide increases during a bust in the economy. After all, no one likes the economic recession that happened. However, it was interesting how there is also a suicide increase during booms in the economy. Both a boom and a bust cause a sudden shift in the individual’s habitual expectations, which leads to suicide. For example, if an economically comfortable individual wins the lottery, he/she may be overwhelmed with all of the money he/she won. Not everyone is accustomed to owning lots of money in the matter of seconds. He/she may be so stressed that he/she may commit suicide. On the other side of the spectrum, if someone economically comfortable goes broke, he/she may be upset at themselves and confused about what happened to their life previously. They will miss the money they used to have. Going from a house to being homeless will not be easy for them. Therefore, this will lead to suicide. 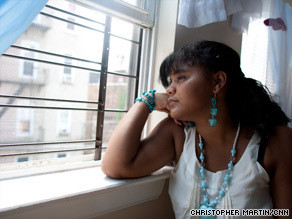 Suicide: Why are Young Latinas at Risk? A national survey of high school students sheds like on a trend that the Hispanic community has long been aware of. Compared to black and white males and females, high-school-aged Latinas are the most likely to attempt suicide and to experience long bouts of depression. Other studies show young Latinas also have the highest teen birthrates and the second highest high school dropout rate. Researchers contend that “cultural clashes with parents, social isolation, and poverty” are part of the problem. Listen to a discussion of the reasons why young Latinas are at risk from the NPR program, “Talk of the Nation.” Which social or cultural factors do you think make young Latinas especially vulnerable to depression and suicide? (Are such factors or conditions prevalent in other communities. How do men fit into this picture?) How would Durkheim assess these risk factors? Would you say they are indicators of anomie and/or egoism? At first I thought it was strange for Durkheim to believe that through his analysis, suicide rates increased through sociological terms, rather than psychologically. However, as I continued to read on about his perspective on these occurrences of suicides in different societies, I was able to understand his explanations on how suicide rates mostly increase. When Durkheim mentions about social crisis that lead to suicides, this made me think of an cause and effect. For instance, if a person became isolated at home, work, or even through a relationship- this may effect a person’s mind to think negatively, which possibly leads to depression. Therefore, even though Durkheim does not necessarily mention the effects of one’s mind that was caused sociologically, it all interrelates by having one to first go through a circumstance to then be psychologically effected. An example of this connection, in an anomic and egoistic suicide, would be an unexpected big win in the lottery. People would believe that winning the lottery will change their lives for the better. However, this drastic change could make matters worse because of their unpreparedness. A person may become socially disconnected with many because of his or her lack of trust on others. Personally, just thinking about what I would do if I suddenly won the lottery, overwhelms me- so to me, its not surprising that many commit suicide through this situation because one should also be mentally unstable.